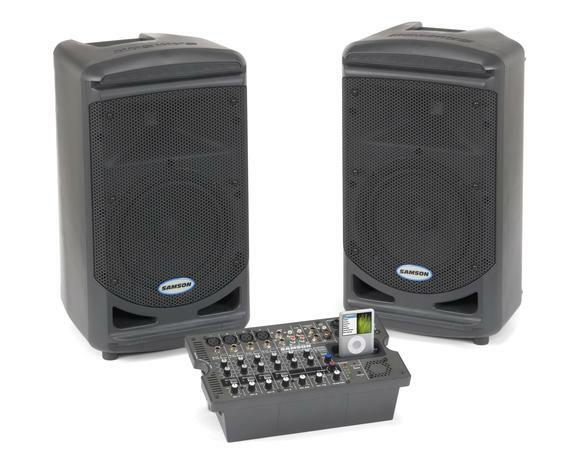 Comprehensive package that features ideally matched mixer, power amplification, and speaker. 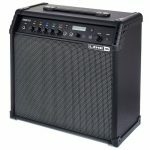 STAGEPAS 250M can function either as an ultra-portable PA system, or as a powerful keyboard amplifier with sound quality and portability that far surpasses any other conventional keyboard amp. 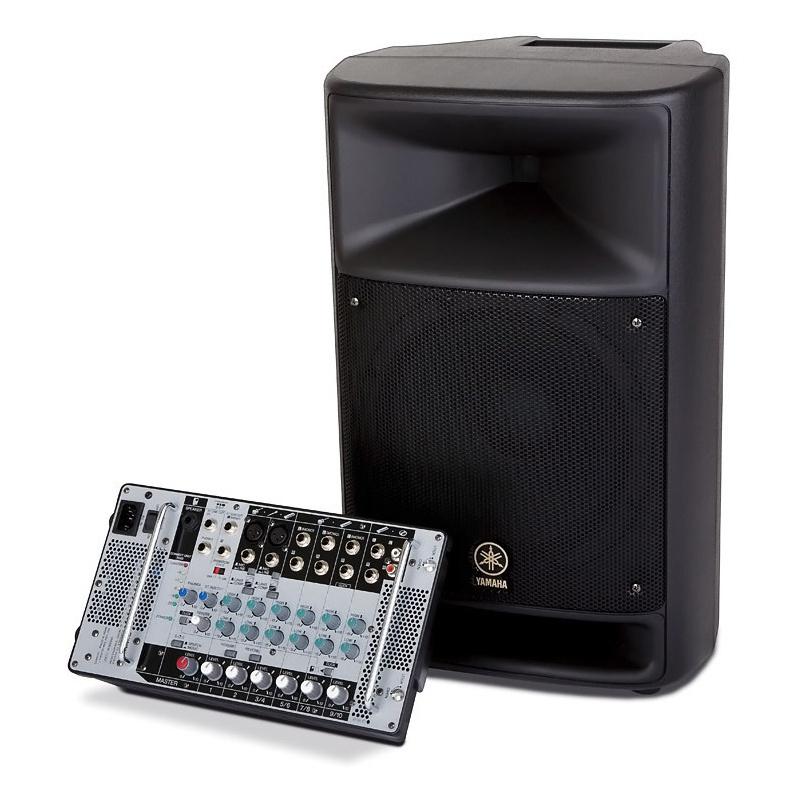 Versatility and Power ” in Four Portable Systems Combining high-performance power and accurate sound reproduction with remarkable versatility in a portable package, Yamaha's STAGEPAS Series Portable PA Systems are fast becoming the standard for musicians and other PA users on the go. 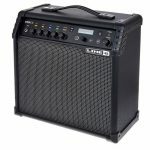 These combination mixer/amplifier/speaker systems are exceptionally lightweight, portable and full-featured. 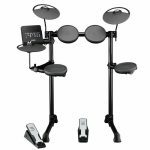 Since virtually everything you need is in one, easy-to-use package, you can be set up and playing within a matter of minutes. And when you're done, you can be packed and back on the road again with the same ease and speed. 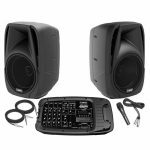 Yet despite the simplicity and compact size, these systems cut no corners in sound quality or versatility, and in fact give you some advanced features not normally found in systems of this class. 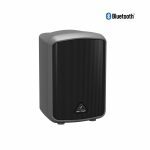 The series now includes the single-speaker STAGEPAS 150M and 250M, which can be expanded to a stereo system by simply adding a second speaker. 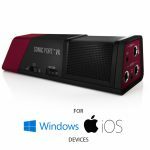 They can also function either as an ultra-portable PA system, or as a powerful keyboard amplifier ” with sound quality and portability that far surpasses many conventional keyboard amps. 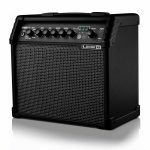 No matter what system you choose, you have a high-power, high-performance sound system ready for a wide variety of venues and events, both indoors and out. 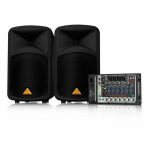 The Behringer Europort PPA500BT gives you practically everything you could ask for in a convenient, portable all-in-one PA system. Musicians at Sweetwater know that a large, modular sound system isn't always the best solution for smaller gigs and events. 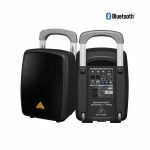 The Europort PPA500BT is perfect for parties, school events, corporate presentations, auctions, aerobics, or any other application that requires fast setup and easy operation. 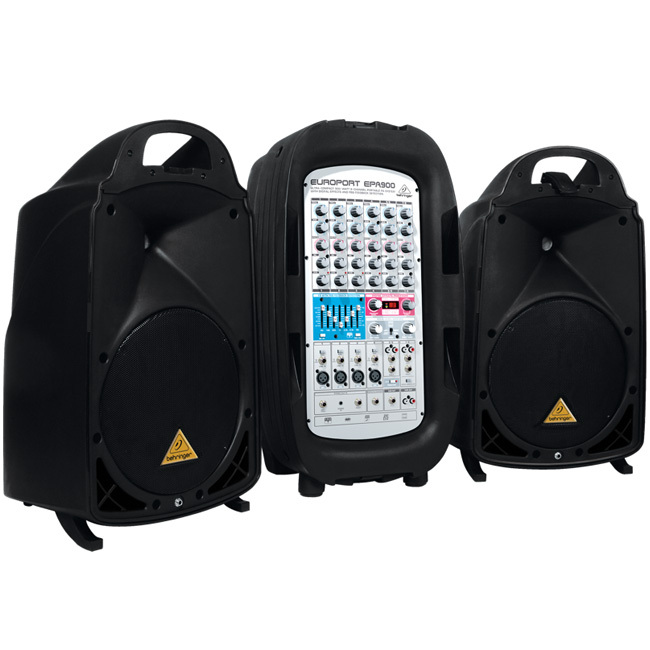 With inputs for two microphones, two additional instruments, and built-in Bluetooth wireless connectivity for music streaming, you're well-equipped with the Behringer PPA500BT portable PA system. 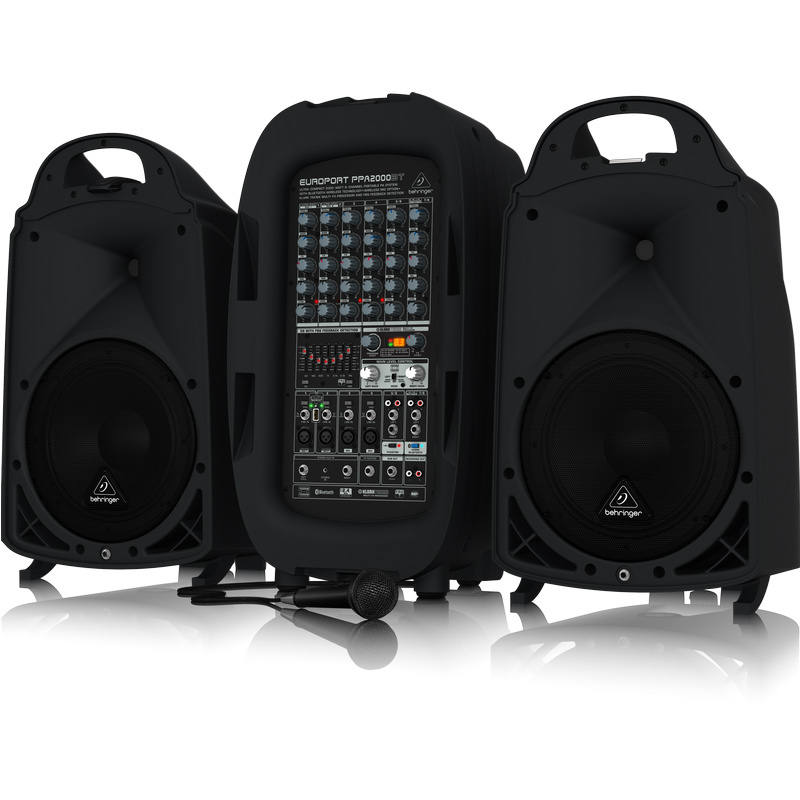 The Behringer Europort PPA500BT is your all-in-one PA solution! 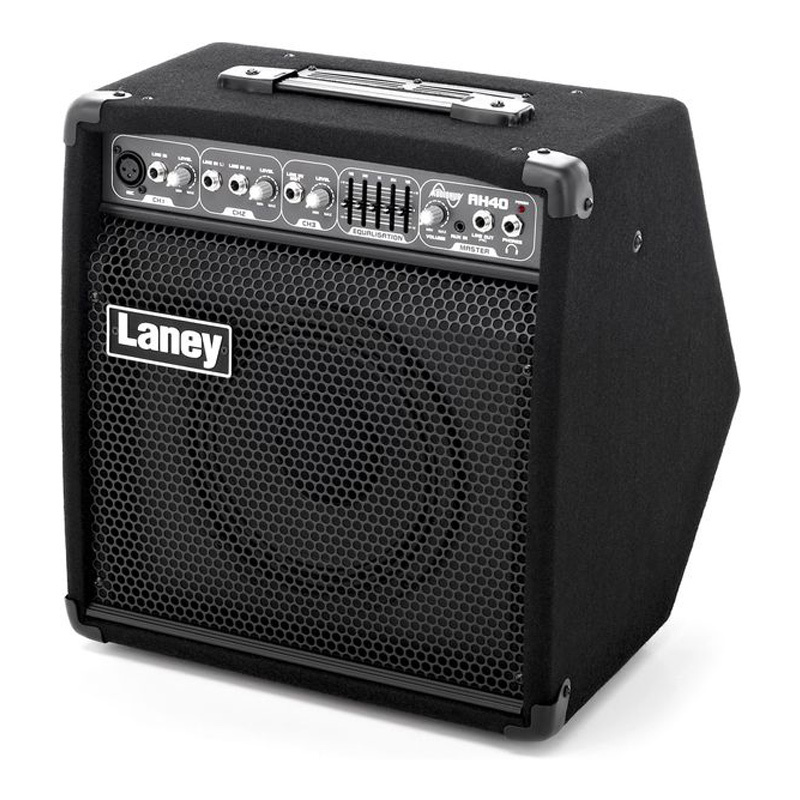 Small Size, High-powered: The pint-sized B207MP3 packs 150 watts of power for the 6.5" full-range driver. That's plenty of power to cut through the mix on-stage, and it only a little under 12 lbs. 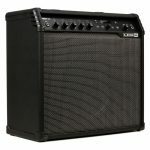 It's a great size for vocalists, keyboardists, and choirs. And if you need more coverage, you can link multiple B207MP3's together. 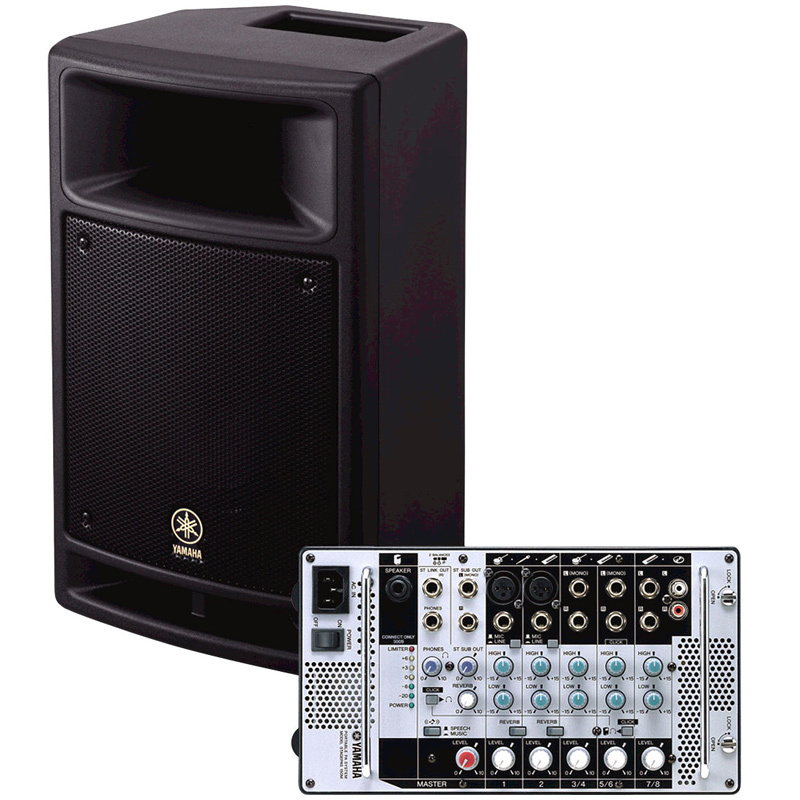 Mix Four Sound Sources: The B207MP3 features a 4-channel mixer with XLR/TRS combo inputs for mics or line level sources, and an additional line input on RCAs for CD and MP3 players. And with the mixer's built-in 3-band EQ, you have everything you need to fine-tune your monitoring experience. 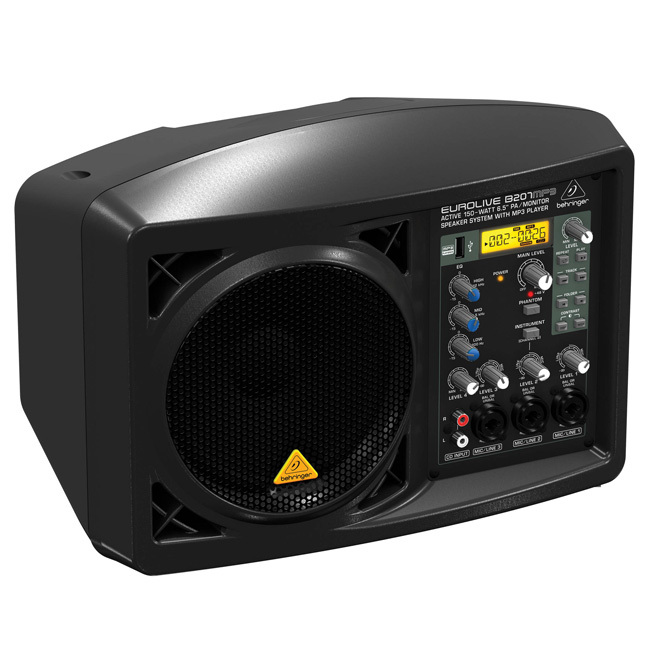 Convenient Form Factor: Behringer's B207MP3 is at home sitting on the stage or mounted on a mic stand. 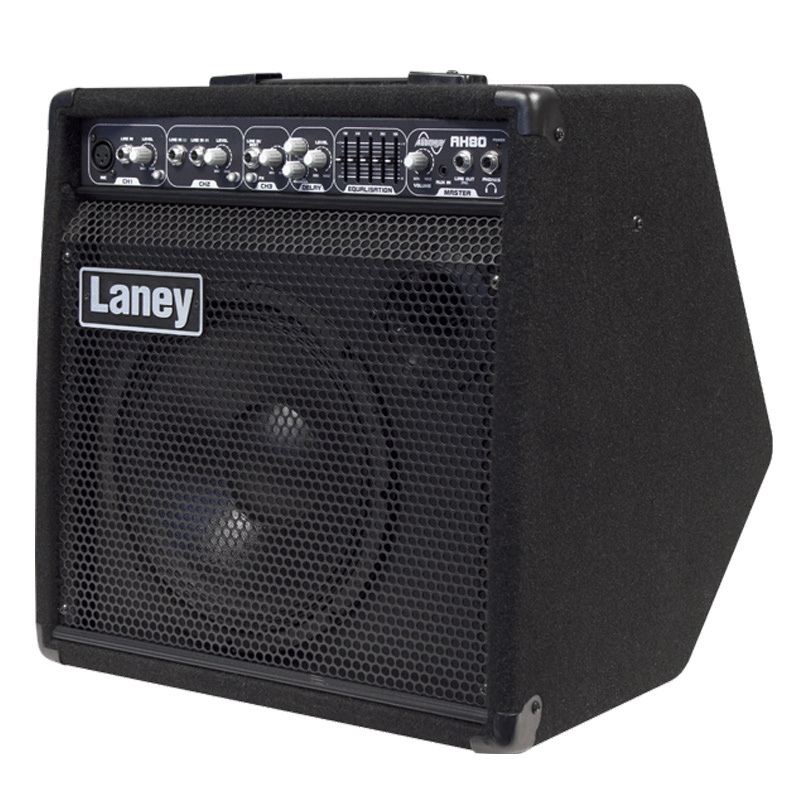 The mic-stand mounting gives extra freedom to keyboardists and others that have a hard time positioning typical stage monitors. 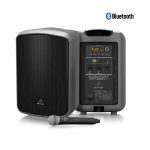 Just secure the B207MP3 to a standard mic stand and position it wherever you need to - without taking up valuable stage space.